No matter how hard I try, I always seem to write on an angle. It has also been pointed out to me that I don’t hold a camera straight when I take a picture. More than once I wrote in the sand, dotted the i’s with shells and took a picture. The glare of the sun made it difficult to see what the picture would be like before I took it. This picture was important to me as it was something I wanted to share. My efforts were not what I’d hoped for and I was disappointed. Wondering if there would be another opportunity, I sensed God telling me not to worry. He is not looking for perfection from me. The two words I was writing were inspire and inspiration. For reasons I will never understand, God has chosen to inspire me and has given me the task of passing this inspiration on to others. This is nothing I earned or deserved. Many times I have been uncertain about sharing my thoughts. The words often don’t seem polished enough to pass on. What I have learned, is that God wants me to share what he has put on my heart. It doesn’t have to be perfect, just authentic. I have heard that God does not call the qualified; he calls the willing and then qualifies them. I am living proof of this. When I allow him to use my imperfections, it inspires others that he will do the same for them. I am an avid shell collector. 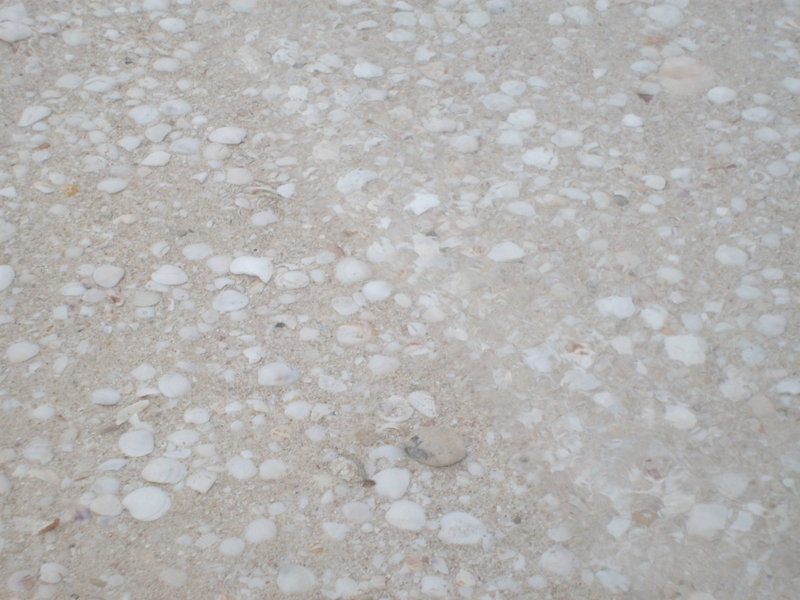 Some of my shells have colours and markings that are well defined and the surface is perfect with no flaws or cracks. I have a few more shells that I believe are the same type as these and once also must have looked good on the surface. The difference is that this second group is ones that have been broken and the inner parts are now visible. Strange as it may seem, it is the ones that I can see inside of that I’m most drawn to. Again, I relate this back to life. When I put up a good front, all you see is my surface. Unless I become vulnerable and let you see inside, you will never really know me. I may look quiet and reserved on the surface, but deep within lies a heart with a passion to make a difference. I want to encourage others to see their own beauty and worth, to know that they are valuable and have a life worth fighting for. In order to do this, I need to be vulnerable and share my heart. Jesus has done amazing things in my life since I gave him control. He wants me to share this with others. By sharing his love with those I encounter, they too will be able to see themselves through his eyes. Jesus loves each of us as though there were only one of us. He loves us just as we are, but far too much to leave us that way. I am living proof of the change that can take place when someone was open enough to pour his love over me, and I can oly pass this along by doing the same. In an effort to control how many shells I was picking up to bring home, I set myself a daily limit. During our walk one morning my husband showed me a lovely shell that he knew I’d like. I quickly counted those in my hand and told him I’d already reached my limit. His response surprised me as he said, “So, change your limit.” To be fair, he also said that I could re-evaluate what I had and decide which one not to keep! The thought that kept coming back to me was to change my limit. At times I’ve said that I’d almost reached my limit, meaning I was running out of patience or energy. What if, when I feel this way, I stop, take a deep breath and change my limit? How much more patient and understanding could I become? This could also work in reverse. When I have 20 things to do in a day and only accomplish 18 of them, do I beat myself up over the 2 not completed or change my limit and be happy with what was done? When it comes right down to it, this is my limit and I’m the one with the control over adjusting it! The main thing for me to remember is that the final control of my life is not with me, but with Jesus. He will guide me far beyond any limits I have set so that I can accomplish his will for my life.